As Beijing clamps down on air pollution, it is seeking to replace coal power plants with cleaner natural gas, especially for heating during winter. Consequently, China has intensified relations with Russia, one of the world’s leading gas exporters, to expand energy ties. But although upping gas use works towards alleviating some of the tensions inherent in the generation of energy, the move doesn’t address the underlying pollution problem. China continues to rely on coal and the coal-guzzling metals industry for economic growth. Rapid change is unlikely as long as the current structure of the Chinese economy is maintained, a structure that is powered by mountains of coal. China is the main driver behind global energy demand and predictions suggest Beijing’s share in global demand will increase to 24% in 2040 or around 27% of global net demand. At the same time, Beijing is trying to decouple growth from CO2 emissions through the implementation of energy efficiency policies and by importing Russian natural gas to create a cleaner energy mix. The Middle Kingdom’s thirst for gas is rightly considered a boon for Russia. Given China’s growing gas demand, Moscow has been eyeing to secure its long-term share in China for the better part of two decades. And some successes were scored recently: Beijing received its first seaborne gas shipment from Russia in July. Several pipeline projects transporting Siberian gas to China are nearing completion as well. But while strengthening the bilateral relationship is certainly a geopolitical win, Beijing needs to be careful that its growing gas use doesn’t divert attention from the underlying problem: persistent and excessive coal consumption. China remains the single largest coal consumer in the world; it represents more than 60% of the national energy mix. This disproportionate reliance has lasting negative effects on the country’s environment, poses serious risks to public health, and places popular pressure on the political leadership. Public calls for reductions to pollution and carbon emissions have mounted in the wake of several reports chronicling the dramatic extent of pollution and the impacts of rising nitrogen dioxide and ozone levels. However, rapid change is unlikely as long as the current structure of the Chinese economy is maintained, a structure that is powered by mountains of coal. Several diversification efforts are underway, but the black stuff remains the leading fuel of China’s aluminium and steel industry, which has been churning out excess production for years. According to estimates, most Chinese smelters are losing money due to low aluminium prices and high costs, rendering the industry heavily indebted. Although the central government instituted capacity cuts this year for both steel and aluminium production, it is up to the local governments to implement them, based on officials’ personal assessment of when and how much production should be reduced. Seeing that regional officials still very much focus on industrial output as a yardstick of success, the fact that predominantly idle capacity has thus far been axed is not surprising. Naturally, this had very little real impact on reducing air pollution. Thanks to misleading numbers arising from the cuts to idle capacity, officials declared the government’s reduction targets were achieved ahead of time. Real cuts would be easy to spot: eating into actual installed capacity would lead to commodity prices spiking. But increases in steel and aluminium prices as a result of pollution cuts would also exacerbate the economic downturn. As a result, Beijing seems to have loosened its insistence on production cuts. It is a stunning display of the continuing central role heavy industry occupies in Beijing’s export-based growth model, and the delicate interplay between coal and economy activity. Thus, although China is clearly moving in the right direction in diversifying its energy mix, the need to achieve economic growth by any price is imposing costs. This is not to say things won't change: with economic activity projected to slow down in coming years, proper implementation of plans to curtail coal consumption may indeed follow. After all, there’s little doubt that China’s coal consumption will eventually wane as the country’s economy undergoes large structural shifts from one driven by industrial production and exports to one sustained by services and domestic consumption. Still, this transition is not a given. Rather, it should inspire more proactive measures to accelerate the large-scale weaning from coal. One proposed solution includes not only reducing demand from heavy industry but also from household consumers, who use coal for heating. But last year, crippling gas shortages hit China’s southern provinces, where most households had already dismantled their old coal-heating units. Lacking heating alternatives, local governments were forced to divert commercial gas supplies to households, in the process depriving companies of fuel. The disruption highlighted the need for more long-term and comprehensive efforts to tackle the intricacies of diversified energy supplies. Current measures are clearly insufficient to drastically improve air quality. 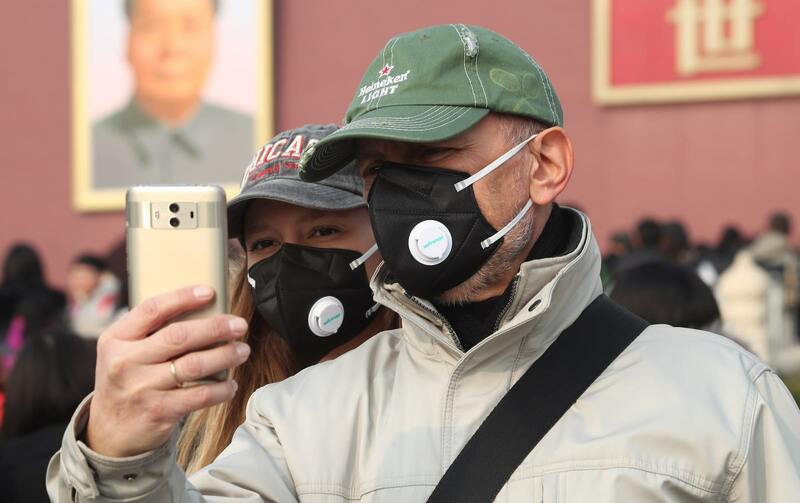 Although China may have scored a geopolitical win with Russia, that victory amounts to little if the Chinese public is not seeing results in the fight against pollution. Beijing should not portray Russian gas imports as adequately tackling issue of pollution. Unless China can prove it is serious about tackling pollution, pressure on the Communist Party will keep rising. A version of this article also appeared in South China Morning Post.